We’ve Found The Perfect Recipe For VetPrac Bootcamp Educators! We mixed many years of veterinary clinical experience, with a love of adventure and travel, and a willingness to give it a go and enjoy the experience along the way regardless of the result. The products of such a recipe… Dr Peter Young and Dr Geraldine Gorman. Let’s find out more about these 2 characters that will no doubt make Practical Skills Bootcamp 2018 a great learning experience for all participants. Dr Peter Young graduated with honours from Sydney University in 1981 and spent 7 years in mixed practice in Victoria and NSW, before moving to Albury, NSW in 1988 where he developed his interest in small animal surgery. He gained his memberships of the ANZCVS in small animal surgery in 1990 and spent the next 20 years predominantly seeing surgical cases in private practice. 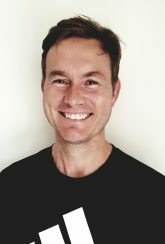 In 2010 he commenced work at Charles Sturt University; he was a lecturer in Small Animal Surgery, Referral surgeon at the Veterinary Teaching Hospital and from 2012-2015 Superintendent of the Veterinary Teaching Hospital. At CSU he also supervised the research projects of 3 honours students and was involved in research supervised by Prof Glenn Edwards covering some aspects of arterial stenting, bone healing and the urinary tract. In December 2015 Peter left his full-time position at CSU to allow more time to pursue his many exciting hobbies, including karate and trekking at altitude. Peter started training for karate at a relatively late age, and now is a 3rd Dan. In 1997 he competed with 1750 other martial arts competitors at the Karate world championships in Okinawa, which many consider to be the birthplace of karate. Peter has a love hate relationship with cold temperatures and high altitudes! He’s experienced the highs (quite literally!) and lows of his exciting pursuits. He has trekked in Nepal on 3 occasions. In 2006 his second trek in Nepal was organized to celebrate his son’s 21st Birthday; that expedition successfully reached beyond base camp. Conditions were not as favourable on his 3rd trek in 2013. He was almost blown off the mountain at 4500m on the way to Mera Peak and had to retreat to lower ground. Peter has also spent some time in the India Himalayas; this trip in 2008 involved 2 weeks volunteering for Vets Beyond Borders performing desexing on local dogs. He was really excited to be a volunteer vet at the iconic Iditarod Dog sled Race in Alaska March 2018, and had successfully progressed through the pre-race training, but alas, succumbed to cold induced asthma 2 days into the race. He had never suffered from asthma before! Peter is a classic example of someone who doesn’t stress when things don’t go to plan; he just gets on with it. Dr Geraldine Gorman hails from Dublin, Ireland, and graduated with a Master of Veterinary medicine from University College Dublin in 1984. 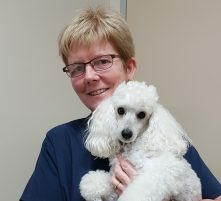 Geraldine gained her Membership of Australian and NZ College of Veterinary Scientists in small animal dentistry and oral surgery in 2010, and now spends much of her time seeing veterinary dental cases. She worked in NZ for 17 years, then moved to Australia in 2017 and now works at James Street Veterinary Hospital in Beenleigh, an outer southern suburb of Brisbane. Geraldine cannot remember ever wanting to be anything other than a vet but originally it was going to be a horse vet as she’s a horse fanatic, played polocrosse, and loved competitive trail riding. However, she found that she was incompatible with most horse owners and Geraldine ended up in small animal practice. The dentistry interest evolved from her feeling of being completely useless at dentistry due to lack of education and skills at university. This led her on a quest to master her weakness and she soon became addicted to the work that previously terrified her. In Geraldine’s words: “Know your enemy and it becomes your friend”! She believes general practitioners would benefit from learning about dental radiographs – “once mastered they change everything”. Other advice for general practitioner vets who’d like to improve their skills in dentistry includes having patience and allowing enough time for the dental procedure ahead, having a good knowledge of the underlying anatomy as well as the pathophysiology of the condition that you are treating, and learning to do good extractions using the correct tools. To be sure to be sure, Geraldine loves Ireland – it’s where her family is; all 8 of her siblings and her parents are still alive so she goes back as often as she can. But, in Geraldine’s words “the weather in Ireland is bad, very bad actually and it’s easier to be outdoors, active and healthy in the NZ or Australian climate”. Geraldine has 4 grown up children. NZ is where her children spent most of their early years and one of them is still living there. The family moved to NZ originally in 1994 after a 3 year stay in Zimbabwe. At first they came “just to have a look” and gradually fell in love with the weather, lifestyle and people of NZ. They tried moving back to Ireland at one stage but missed their Kiwi life too much; their children voted to return to the land of the long white cloud. Her children then grew up and moved (mainly to Australia!) so Geraldine and her husband followed in 2017 to make themselves more accessible to visit, and to challenge themselves in their jobs. Since moving to SE Queensland she’s taken up mountain biking as an alternative to horse riding which is too difficult in suburbia. Days off see her out on her bike or hiking. She’s just spent a week hiking 80 km on Fraser Island with her husband and son. For longer breaks she likes to travel to somewhere that she can hike and experience the wilderness. Her last trip was to Utah, USA where she back-packed in Capitol Reef for 5 days and did a mountain bike tour for another week. She loves road trips; she’s just bought a camper trailer to see a bit more of Australia. Just for something else to add to her adventure and fun packed life, her latest pursuit is rock and roll dancing. She’d promised herself to learn it for years and has finally got around to taking lessons and loves it. So, from Ireland to New Zealand to Australia, from horse riding to mountain bike riding, hiking and road trips, and now rock and roll dancing, Geraldine lives life and work to the full and is still finding new fun things to do in her spare time. We think that both Peter and Geraldine have the perfect personality to teach surgery and dentistry respectively at Practical Skills Bootcamp! Come and discover more about Peter and Geraldine at the VetPrac Bootcamp Workshop at CSU on November 8-10, 2018. As well as learning new surgical and dental skills, you might also get to hear about some of their exciting adventure travel experiences! Dr Geraldine Gorman can be contacted on gg4vet@hotmail.com (preferred option) or 0435830299.